We are the largest tour operator in the Baltic region, with a strong market position built over time since 1999. Our advantages include a strong position in a developing market, well-recognised brand, high customer loyalty and very good relations with tourism agencies and service providers, thanks to which Novaturas can provide its clients with a diverse and attractively priced offering. Our product portfolio includes fully organised summer and winter package holidays as well as sightseeing tours by coach and plane to more than 30 destinations worldwide, including the most popular holiday resorts in Southern Europe as well as select locations in North Africa, the Middle East, Asia and Latin America. We also sell airline tickets and hotel accommodations, thanks to which we are able to reach an extensive group of clients with different preferences. Our products are sold through more than 400 external travel agencies, our own sales offices in main cities of the Baltics and fast growing e-commerce channel. We operate in Lithuania, Latvia and Estonia, where we are the undisputed leader in the organised chartered flights market with over 40% share in the Baltics. We are also selling our products via external partners on the promising Belarussian market, offering opportunities for future expansion. Overall, we reach more than 15 million potential clients (about 6.2 million people in the Baltic countries and ca. 9.5 million in Belarus). Favourable macroeconomic conditions supported by strong labour market in the Baltic states are translating into systematic growth in consumer spending, including tourism services. We are observing a growing number of new clients, an increase in the amounts being spent on foreign holidays and higher frequency of travel per person. At the same time, market saturation in the Baltics is still relative low comparing to Western European markets. over 400 travel agencies, including all of the major agencies in the Baltics and more than 60 in Belarus. 2017 and we manage one of the biggest online shops in the Baltics. Our product portfolio is diversified in terms of the types of tours, prices and destinations. Thanks to the diversification we are able to offer products that are adapted to the needs and expectations of various client groups. This lets us maintain a presence in nearly all market segments and effectively respond to changing clients preferences. Organization of flight package tours comprise the main part of our offering. These cover holiday trips to popular summer resorts in Europe (in the Mediterranean Sea region), North Africa and Asia as well as the most popular European winter destinations in Italy, France, and Andorra. Clients receive a full range of services, including flights, transfer from airport to hotel, accommodation, around-the-clock resident tour guide and attractions during the stay, including full-day excursions during the summer. Round trips by plane are long distance trips, including to Asia and South America. Chartered and regular flights from Vilnius are used. We provide the flights, accommodations, sightseeing tours by coach and a full-time tour guide who stays with the tourists during the entire trip, providing them with information on the country and the available attractions. Round trips by coach include sightseeing in European destinations (including Poland, France, Italy, Austria, Croatia and Greece). Round trips by coach are organized from Lithuania. We provide transport by coach, accommodations, sightseeing by coach and a tour guide who stays with the tourists during the entire trip. Our other products include airline tickets and hotel bookings online. We sell these to retail clients as well as to other tour operators who are often interested in booking seats on the most popular chartered flight routes. Product diversification also covers brands and product lines. Our key brands are Novaturas (in Lithuania) and Novatours (in Latvia and Estonia), which generate a vast majority of revenue. We also have, among others, the budget brand ECO Travel and a premium product line Novaturas Gold. We also own retail agency brand Sofa travel. Novaturas / Novatours is our main brand, responsible for the majority of our offering. These products are most frequently bought by a wide group of middle-class tourists. Novaturas GOLD is a product line targeted at the high-end market, adressed to the growing number od the most demanding customers. 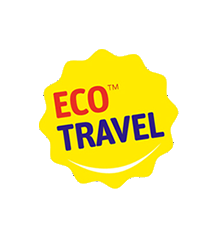 ECO Travel is a product brand targeted at the low-end market assuring affordability for target customers. Sofa Travel is our retail sales brand in the Lithuanian market. We offer fully organised summer and winter package holidays as well as sightseeing tours by coach or plane to more than 30 destinations worldwide, including the most popular resorts in Southern Europe as well as select locations in North Africa, the Middle East, Asia and Latin America. With a highly diversified portfolio of destinations and a wide-ranging product offering, we are able to flexibly respond to changing trends and client preferences.